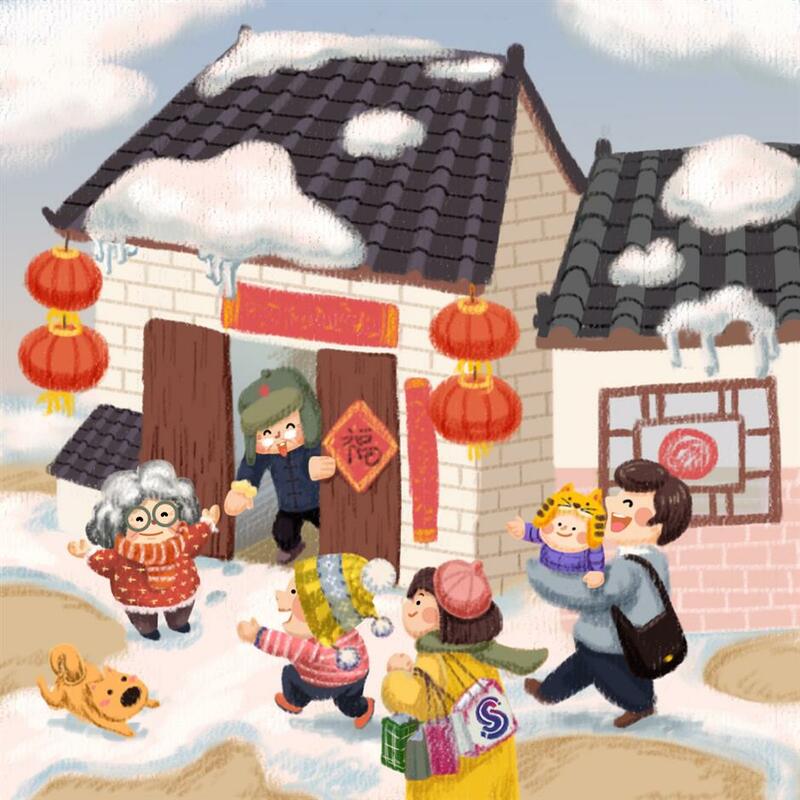 Spring Festival, or Chinese New Year, is one of the most important festivals in Chinese culture. But where did all of the traditions surrounding it come from? 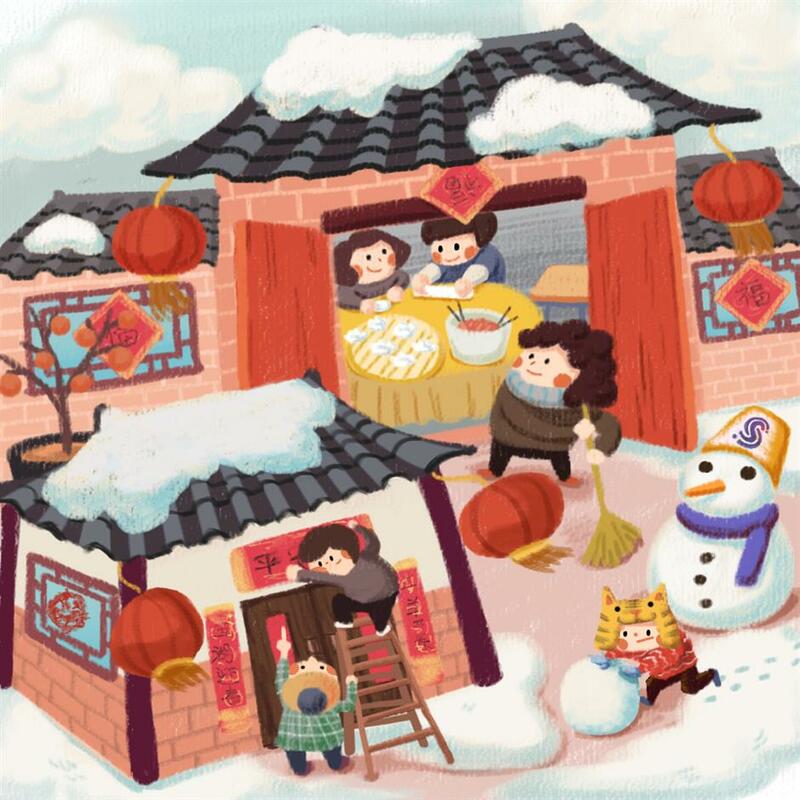 Spring Festival, or Chinese Lunar New Year, is one of the most important festivals in Chinese culture. It has been celebrated for more than 4,000 years, ever since Emperor Shun is said to have ascended the throne on New Year’s Day and paid homage to Heaven and Earth. 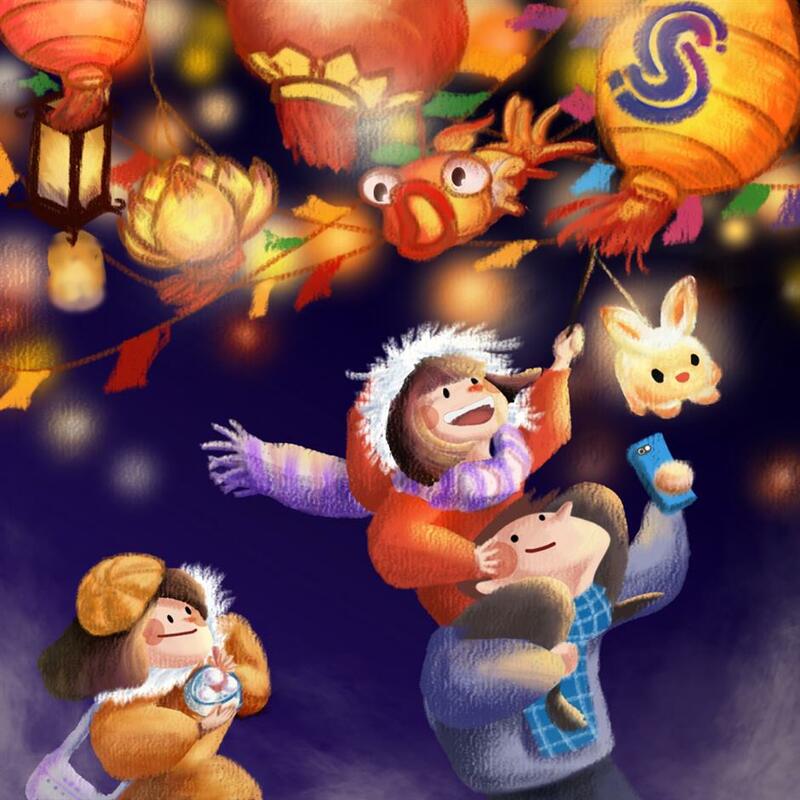 There are a diverse range of stories and customs for Spring Festival traditions — let's take a closer look! In ancient times, monsters called Nian who lived in the mountains descended on villages at dusk of every Chinese New Year’s Eve, devouring people and livestock. At dawn, they would return to their mountainous lair. On one Chinese New Year’s Eve, it was noticed that the rampaging monsters did not eat a newlywed couple who wore red. The monsters fled when they lit bamboo sticks. Villagers realized that the monsters feared the color red, bright lights and cracking sounds. From this knowledge, many customs associated with Spring Festival — Chunjie (春节) — arose. Nianyefan, or Chinese New Year’s Eve dinner, is a major part of the Spring Festival. 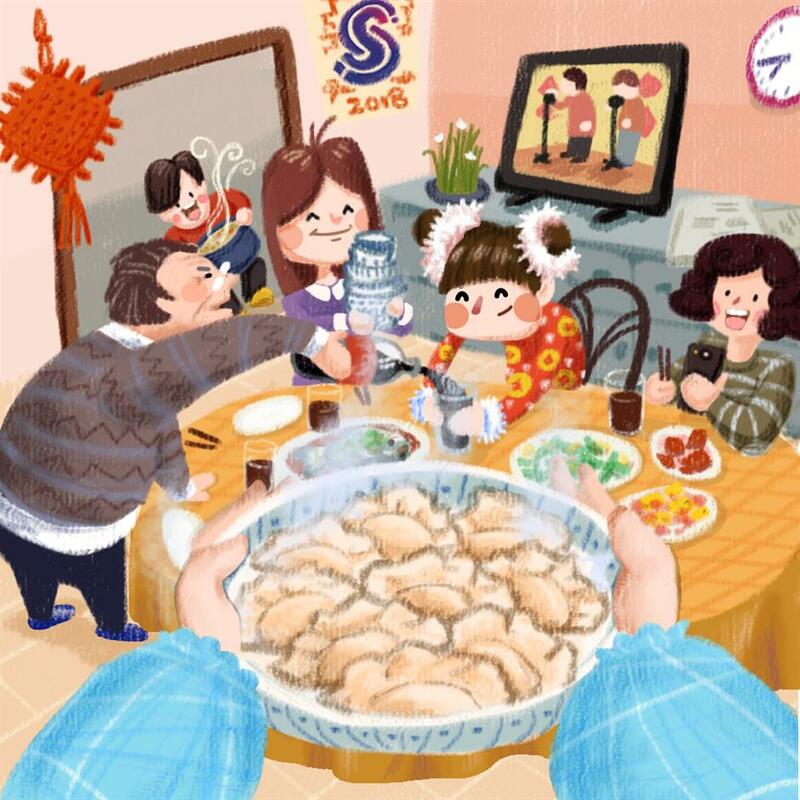 No matter how far from home they are, most Chinese try to return to their family for this end-of-year dinner, which may last through to midnight. Watching the annual China Central Television Spring Festival Gala is a more recent addition to this tradition. Round foods, such as tangyuan (汤圆 glutinous rice balls), symbolize reunion. Jiaozi (饺子 dumplings) are usually served at midnight in northern China. Sometimes coins are placed inside and those who find them will have good luck in the coming year, according to tradition. Niangao (年糕), or rice cakes, are preferred in southern China, as the name sounds similar to "annual improvement," nian nian gao sheng (年年高升). Some dishes are essentials, and the sound of their names is an important factor. For example, fish is a must-have as yu (鱼 fish) and yu (余 abundance) sound the same. 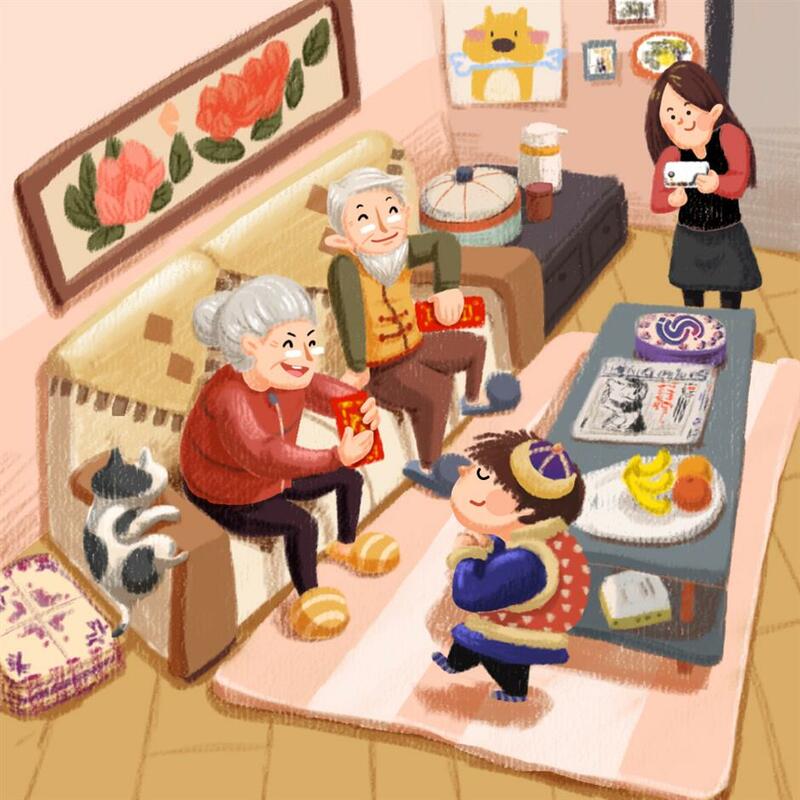 Serving fish symbolizes nian nian you yu (年年有余) — having more than needed every year. 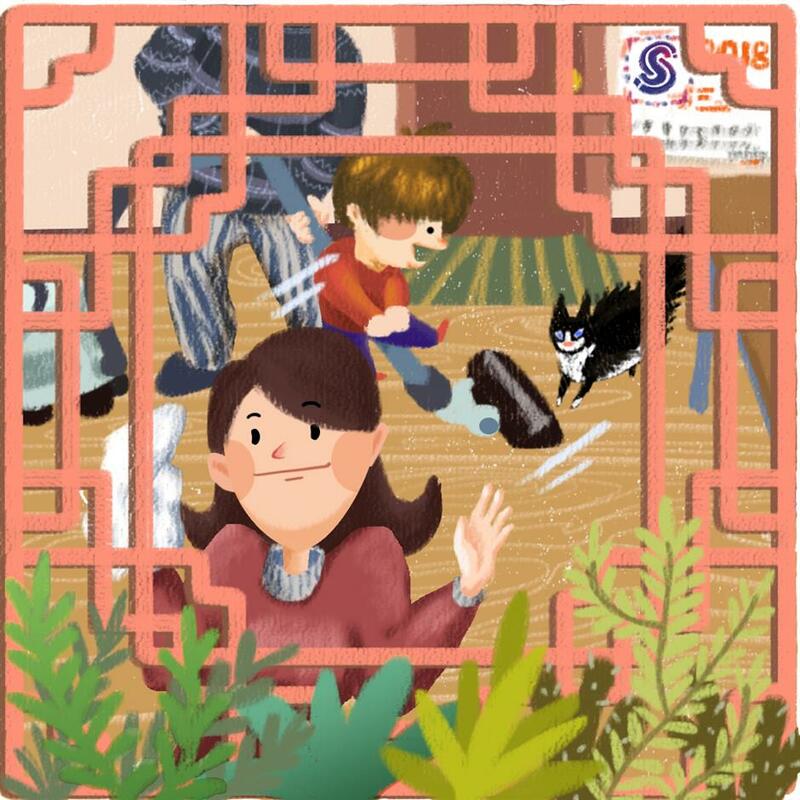 Chinese families give their homes a thorough clean, considering it “sweeping away the dust of the past year.” Homes are decorated with red or gold paper cut-outs of auspicious couplets and symbols, and big family meals are held. On Chinese New Year’s Eve, only positive and lucky words are permitted. Negative words such as “no,” “empty,” “lost,” and “broken” are strictly forbidden. Many people get up early and set off more firecrackers to welcome the new year before beginning the rounds of visits. 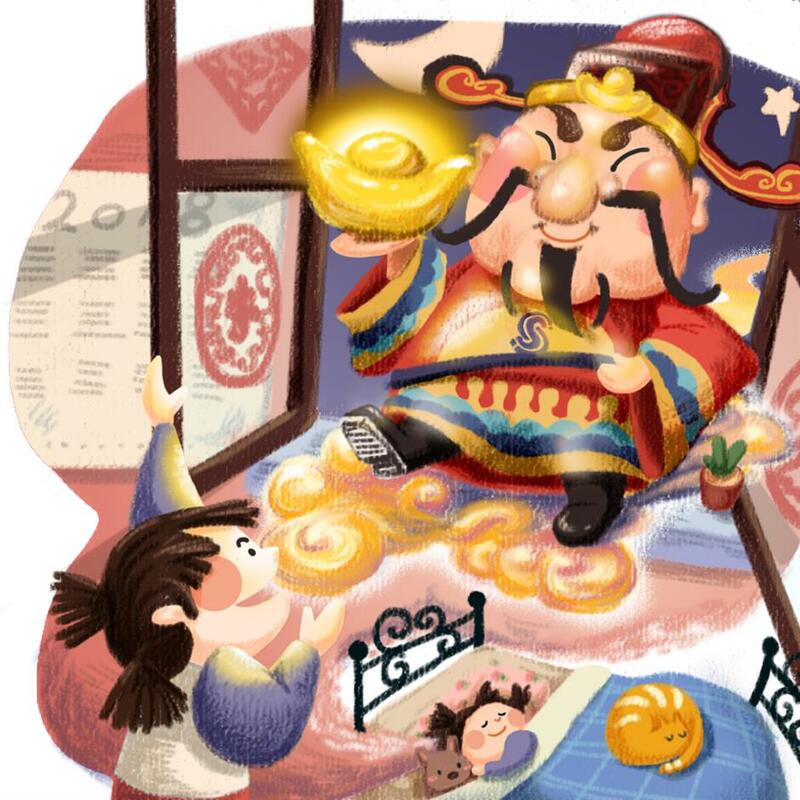 Traditionally, the elderly give out hongbao of lucky cash to children for good luck and good health. Don’t sweep, lest good luck is swept away. Don’t wash your hair since in Chinese, hair — fa — has the same pronunciation as fa in facai (发财), which means “to become wealthy.” Therefore, it’s not seen as a good thing to “wash your fortune away” at the beginning of the New Year. In fact, don’t wash anything, or even take a bath, for fear you may wash away good luck. Also, don’t throw out water or garbage, lest fortune is poured away or thrown out. Other don’ts include: don’t use any sharp-edged tools, in case they hurt the gods, and don’t criticize other people, or you will fight with others the whole year. Breaking anything is a bad sign. 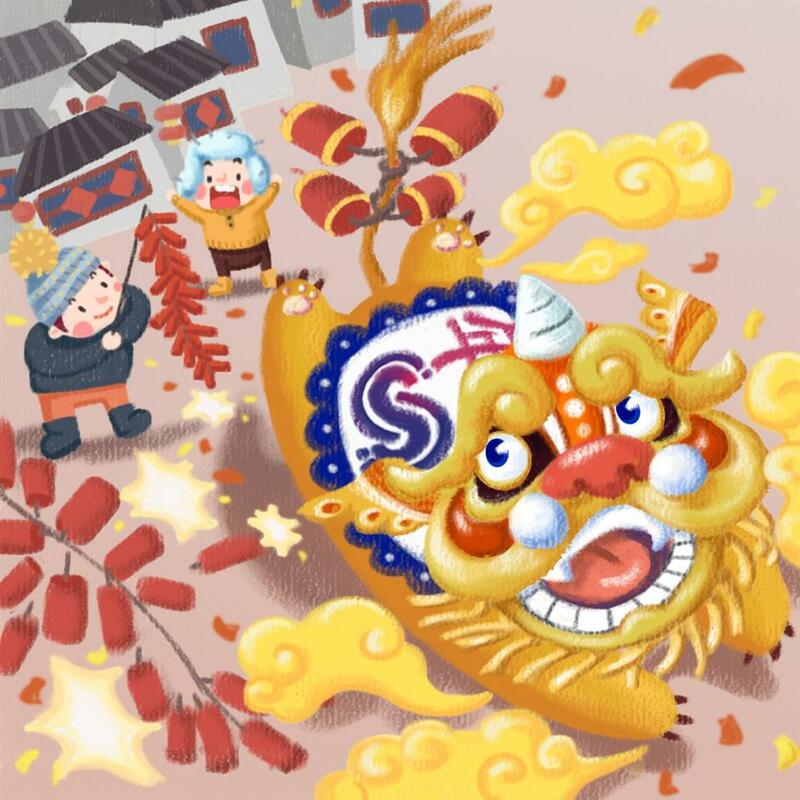 If it happens, you should say “sui sui ping an” (岁岁平安 safe every year), since the pronunciation is the same as “break” (碎). Couples should visit the wife’s parents where they eat lunch before returning home for dinner. For married daughters, they should bring some gifts and hongbao of lucky cash for kids when they go back home. In some places, it’s traditional to buy fish and set them free in rivers and ponds to earn merit through good deeds. It’s time to get rid of rubbish and waste accumulated since New Year’s Eve. This symbolizes sweeping away the spirit of poverty. The third day of Spring Festival is considered an unlucky day to pay visits, as it is the day of chi gou — red dog — that causes quarrels. This is called yang ri (羊日), or Sheep Day. In Chinese culture, sheep means "auspicious." This is also the day to invite the God of Wealth into your home, where he will celebrate his birthday on the fifth day. Firecrackers are set off at doorways at midnight, and windows are opened to welcome him. The fifth day is called po wu ri (破五日), meaning "breaking the fifth day." Firecrackers are set off in the morning to drive the five bad things away — evil, monsters, disaster, sickness and poverty — from the house. This is also the birthday of the God of Wealth, when people will offer sacrifices to him with a series of activities. 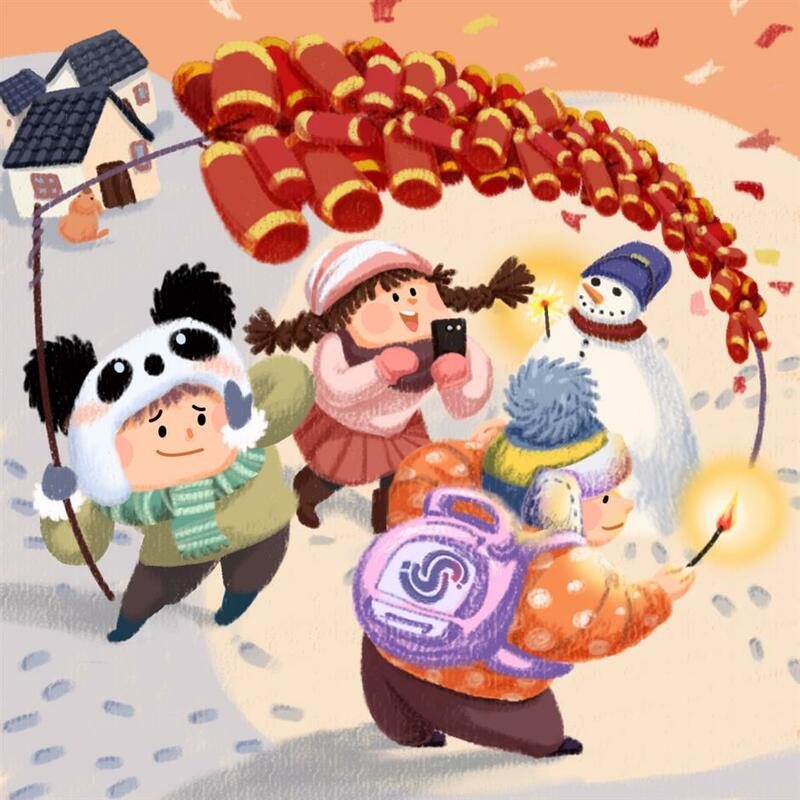 The fifteenth day is celebrated as Yuanxiao Festival, or the Lantern Festival. It marks the end of the Chinese New Year celebrations. Tangyuan — a sweet glutinous rice ball in a soup — are eaten. Temple fairs are one of the most important activities in some regions on this day.